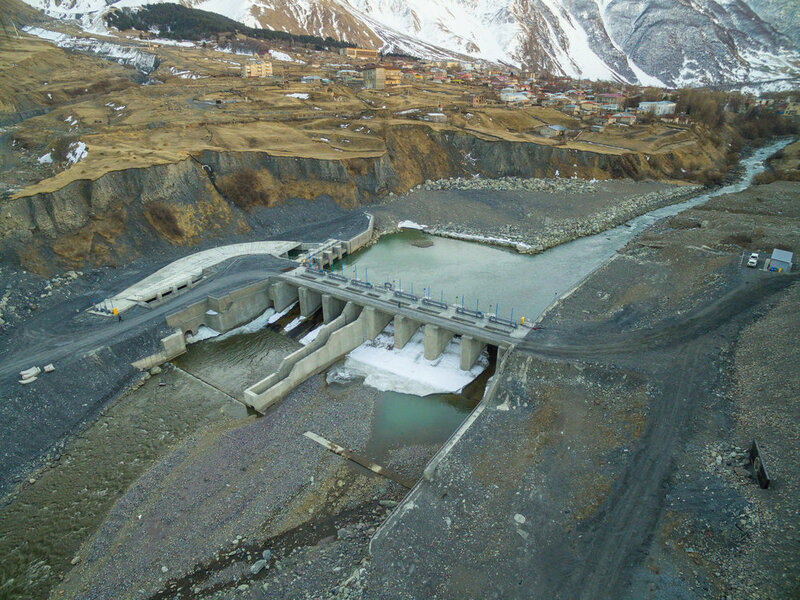 Dariali Energy LLC was established in December 2010 aiming to implement the Dariali Hydropower Plant Project in Kazbegi. The Company's authorized capital amounted to 100,000 US dollars (Peri - 70%, Robbins - 30%). As of August 2013, the Company’s capital increased to 43,333,333 US dollars (Peri - 31%, Robbins - 23%, GEDF - 23%, Energy - 23%). The company for the first time in Georgia has implemented the Project Financing by EBRD, it has succeeded to obtain the loan of 80,000,000 US dollars. The project represents a first successful public-private partnership in the energy sector. According to the environmental and social policies of the European Bank for Reconstruction and Development, the project was awarded the “A” category. The categorization is based largely on the specific location of the proposed project and sensitive environment connected to the development of hydropower plants in Georgia, in general. Before EBRD loan approval the Company had actively used the domestic (more expensive) resource to boost the project development as much as possible and succeeded to take a loan from TBC Bank in the amount of 29,500,000 US dollars, which was then covered from the EBRD loan. The company is supported by a top European project engineering conglomerate (Landsvirkjun Power & Verkis) (Iceland) which provides the project’s engineering supervision and preparation and implementation of the construction project. Construction and electromechanical contracts have been executed according to FIDIC standards, which makes the employer-contractor relationship the most transparent and effective. Construction and electromechanical works were tendered and the tenders were held with the consultation of Landsvirkjun Power & Verkis. The bidders in tenders on electromechanical work were the world’s leading companies. During this process they were in Georgia and conducted several rounds of negotiations. Electromechanical equipment for the Dariali Hydropower Plant will be provided by Austrian company Andrtiz Hydro, which is one of the most reputable companies worldwide in the field. The company has signed an agreement with the Electricity System Commercial Operator (ESCO) on the guaranteed purchase of electricity for 10 years from the start of operation. In 2015, the Company, the Government of Georgia and Georgian State Electrosystem signed the agreement related to the ​​110 kV transmission line rehabilitation, development, construction, ownership and operation on the territory of Georgia. 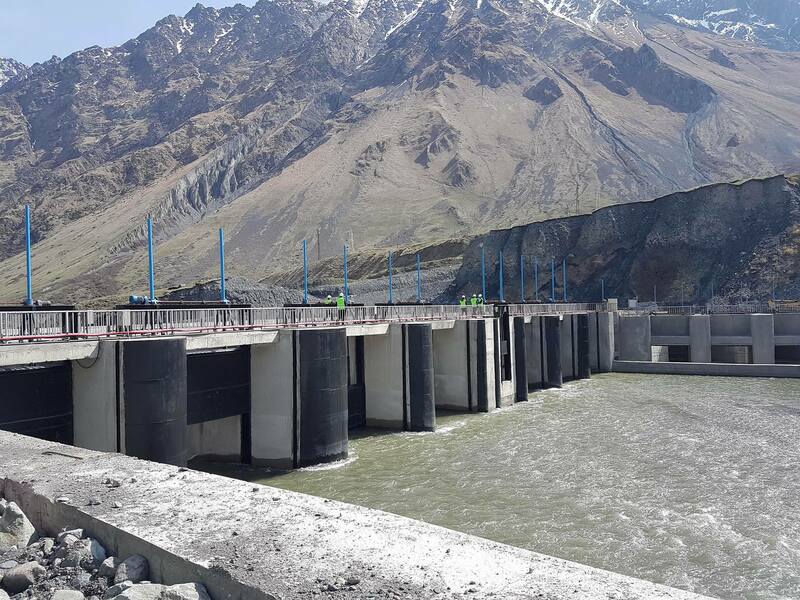 The Company has successfully registered Dariali Hydropower Plant with the UN Clean Development Executive Board, that will bring additional benefit to the company after the entry into operation of the power plant. 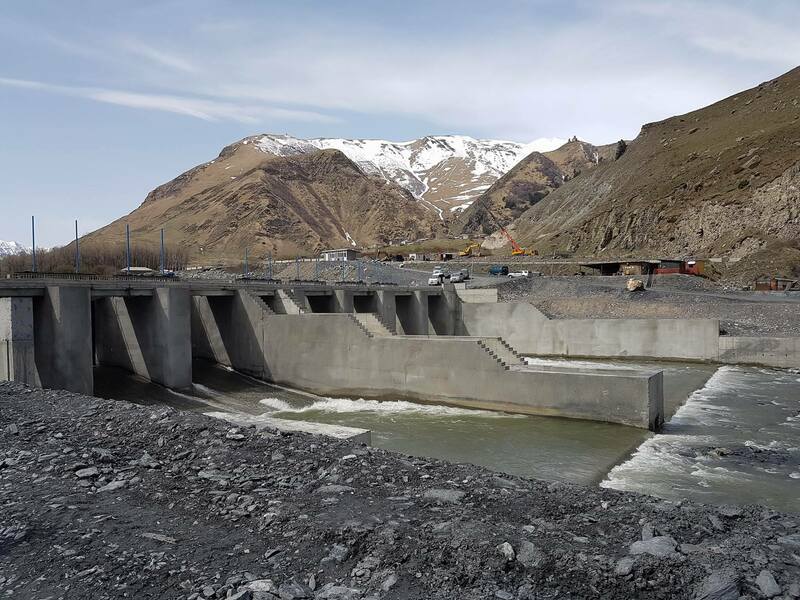 The technical audit of Dariali hydropower plan project was conducted by the German company Fichtner, and currently it is conducted by the Swiss company Stucky. The Company is doing its best efforts to minimize the loss from unforeseen accidents and the works performed by the contractors are insured in full by the Insurance Company GPI. The Company’s financial system is completely transparent to the company and the financial audits from the beginning has been conducted by the auditing firm EY. The Company is doing its best efforts to minimize the environment impact risk and has involved foreign consultants in this area. 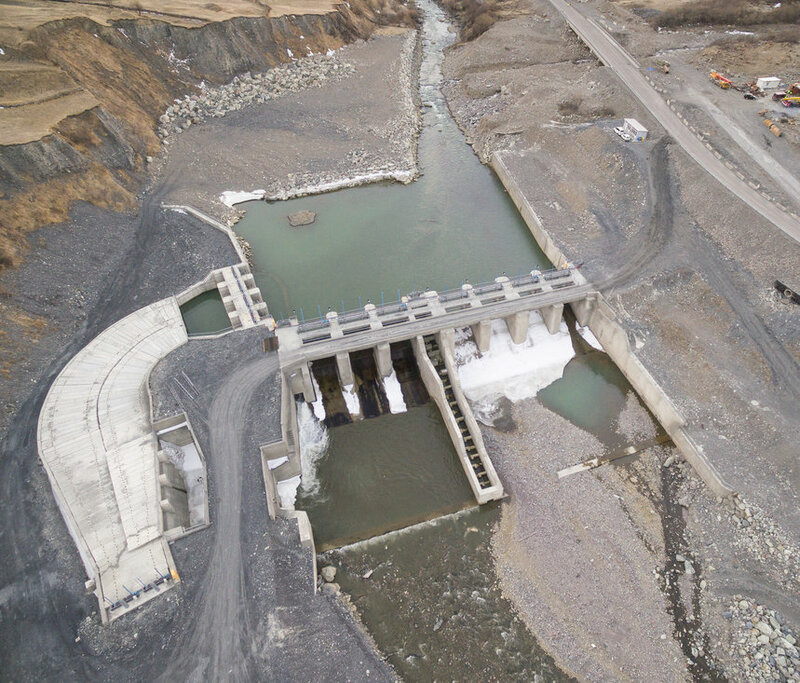 Dariali Hydropower Plant will have a fish path of top level, which will create maximum natural conditions to the local river ichtyofauna. The Company is committed to maintain the biodiversity and for this purpose the Water Biodiversity Research and Monitoring Program by the Ukrainian environmental consulting company “Blue Rivers” has been developed. The project has the potential to be the first energy project in Georgia, which will provide a carbon neutral construction. The company is currently developing a reforestation project, which will bring additional benefits to the local eco-system, which includes a component for the cultivation of forests, with the aim of the fully compensation of emissions generated in the total course of the project through absorption of carbon by plants. At the same time, together with respective departments, the reforestation program has the potential to become the first carbon-free construction project in Georgia and the first such project for EBRD in all regions. 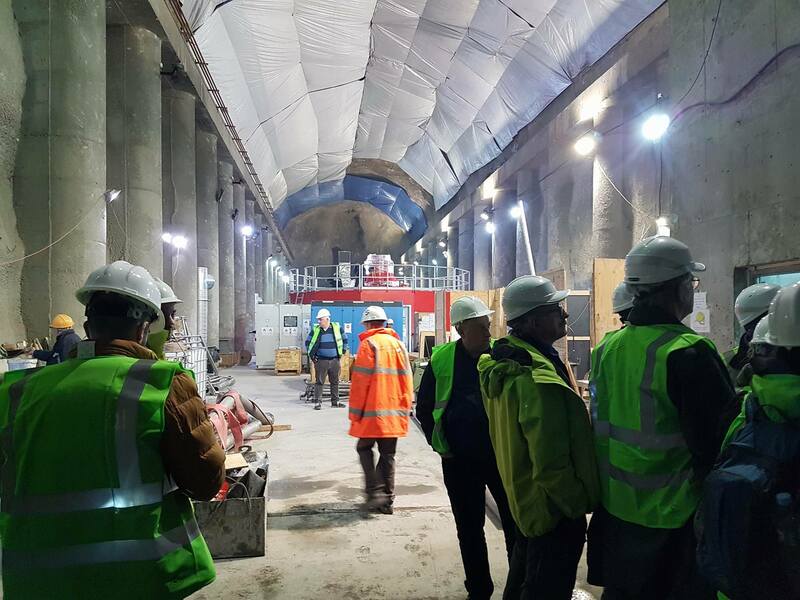 Dariali Hydropower Plant project was awarded by the magazine EMEA Finance as the best water project in Europe in 2014 at a ceremony carried out in London. 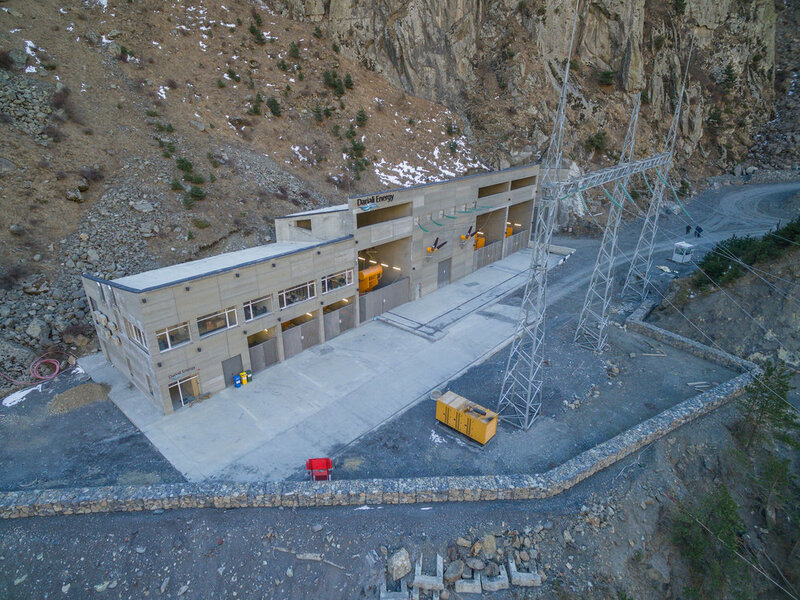 Dariali Hydropower Plant by the amount of generated energy is the fourth hydropower plant in Georgia, that is a big step towards the energy independence of the country. The permanent staff of the Company counts 50-60 employees. The project is implemented under strict monitoring of the international financial institutions, which provides fully protected environmental standards and norms. The Dariali hydropower plant will cause the reduction of more than 250,000 tons of greenhouse gas annually. The Dariali hydropower plant makes annually a significant contribution to the local budget in kind of the property tax. The company is involved in various social activities (for example, it sponsors the children’s rugby team in Kazbegi). © 2011-2016 - Dariali Energy. All rights reserved.